Joe Murphy is a Gaelic singer and Gaelic teacher living in Dartmouth, Nova Scotia. Born in New Brunswick, his dad from Saint John and his mother a Newfoundlander, he heard traditional Irish and Scottish songs every day around their home. He came to Cape Breton to study engineering, and minored in ceilidhing with many traditional musicians in and around Sydney and Christmas Island. Joe is married to a Broad Cove girl, the former Cathy Gillis. Since her parents were Gaelic speakers the incentive of being able to ask for something to eat along with “the tea” was enough to encourage Joe to become fluent in Gaelic. 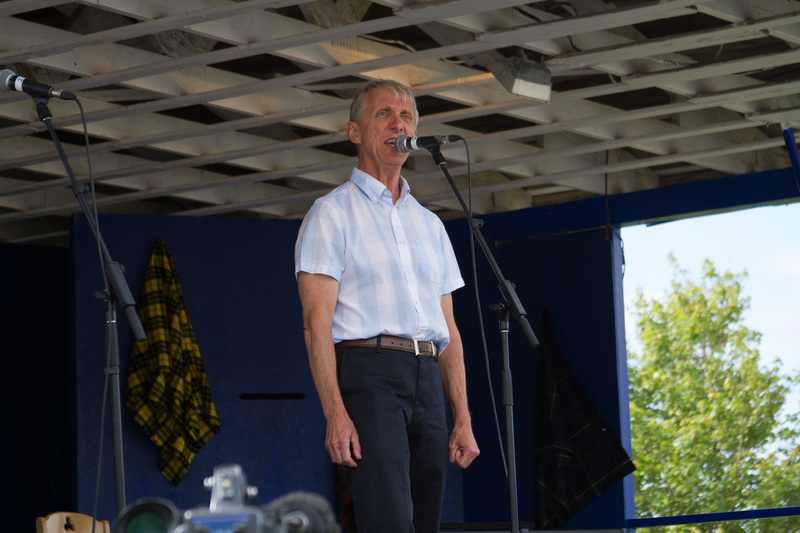 Joe has performed traditional song in Gaelic and English at many concerts and festivals in Nova Scotia and has shared stages with such performers as John Allan Cameron, Frances Black of the Black Family, Frankie Gavin of De Danann, Tommy Makem and Liam Clancy, Dave MacIsaac, Dr Angus MacDonald, Evans and Doherty and more. He has often sung here in Broad Cove at our annual Scottish concert. Joe says the highlight of his summer each year is singing at mass on the Sunday morning of the concert. It’s when so many Broad Cove natives and expatriates come together to celebrate their faith and traditions in the church, whose 160th anniversary we celebrate by this concert.